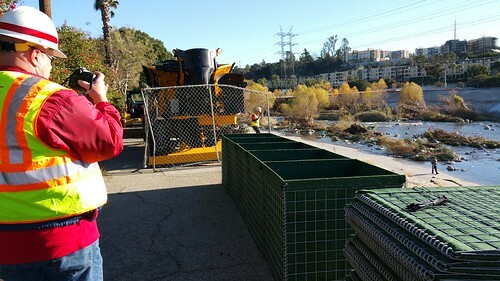 On Friday, January 8, 2016 Mayor Eric Garcetti and Los Angeles District Commander Col. Kirk Gibbs announced that the U.S. Army Corps of Engineers (USACE) will be taking new interim measures to improve flood protection on the Los Angeles River during #ElNiñoLA. The USACE is the federal agency responsible for navigable bodies of water, including our very own Los Angeles River. The LA River has an almost century-long history with the USACE that started after a series of floods, including the 1914 flood which caused $10 million in damages. A public outcry for action to address the recurring flooding problems led to the formation of the Los Angeles County Flood Control District. 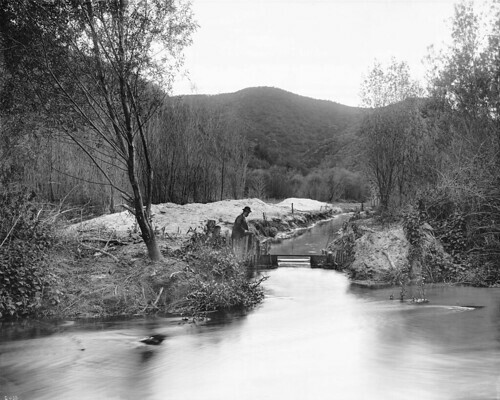 Early flood control efforts included some channelization and the need for reservoirs. Bonds were approved by taxpayers in 1917 and 1924 to build major dams. After two additional destructive floods in the 1930s, Federal assistance was requested and the Army Corps of Engineers took a lead role in channelizing the River. Channelization began in 1938. By 1960, the project was completed to form the fifty-one mile engineered waterway we are familiar with today. Due to the expectations of a powerful El Niño season, USACE recently received emergency federal funding to put in place safety measures for the area of the river that spans from Griffith Park to Elysian Valley. The Los Angeles District of USACE determined this area needed increased capacity to keep the river in its banks. The L.A. District declared an emergency to USACE headquarters on January 6, prompting headquarters to provide $3.1 million in federal funding and nearly 3-miles of temporary barriers, known as HESCO Bastion. The temporary barriers act as industrial size sandbags, effectively raising the sides of the river channel and temporarily increasing its capacity during the winter storm rains. The District also received approximately $500,000 to begin removing water-flow impeding vegetation from the highest-risk areas within the channel, in an area just upstream and downstream of Riverside Drive and the Zoo Bridge. Anytime rain is in the forecast the LA River Bike Path is closed for safety (shelters and resources are available for people experiencing homelessness). In the coming months, the raised barriers will allow for the expected volumes and help protect against flooding in adjacent neighborhoods. The barrier will be under construction on the bike path beginning Tuesday, January 19, 2016. Due to the configuration of the HESCO barriers on the bike path by the U.S. Army Corps of Engineers, the LA River Bike Path will remain closed through #ElNiñoLA season from Zoo Drive to Glendale Blvd (with the Alex Baum Bridge remaining open as a bicycle and pedestrian crossing across the LA River and 5 freeway). North of this location, in the Griffith Park section of the Path, there is also an unrelated intermittent closure due to Caltrans freeway bridge rehabilitation work. Check out the City’s Detour Guide for getting around temporary closures on the LA River bike/ped path here. UPDATE: As many of you may already know, the Bike Path has been closed due to flood control measures installed by the Los Angeles District, U.S. Army Corps of Engineers since January 2016. At this juncture, our agencies anticipate the earliest the Bike Path may reopen, post-‪#‎ElNiñoLA‬ flood risk and weather permitting, will be Memorial Day weekend. Stay tuned for updates about construction and planned detour routes. Information will be available via our Blog (where you can also find articles about how to bike through El Nino and more!) and social media channels (@ladotbikeprog) using the hashtag #ElNiñoLA. Updated 3/16/2016: Current information on U.S. Army Corps of Engineers’ barrier configuration added. Updated Application Manuals: As the People St program continues to grow, we would like to streamline the application process and make applying easier for Community Partners. We’ve made revisions and updates to our application manuals incorporating new information to better guide Community Partners! Meet the City’s First Ever Complete Streets Design Committee! Members of the City’s Complete Streets Design Committee confer at LADOT HQ. 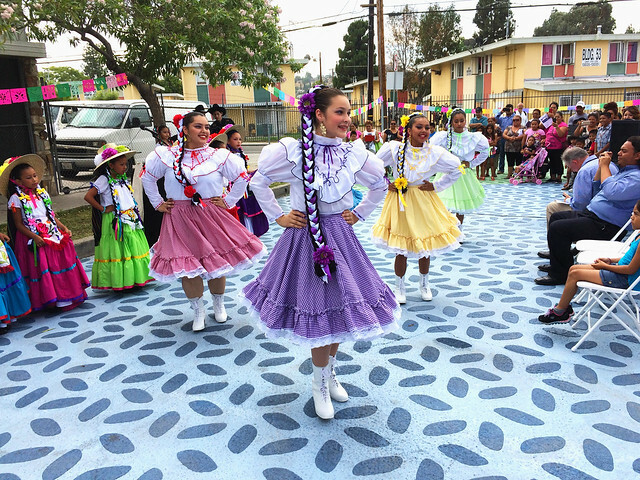 In March 2015, LADOT’s General Manager Seleta Reynolds directed the Department form a new collaborative group: The Complete Streets Design Committee. 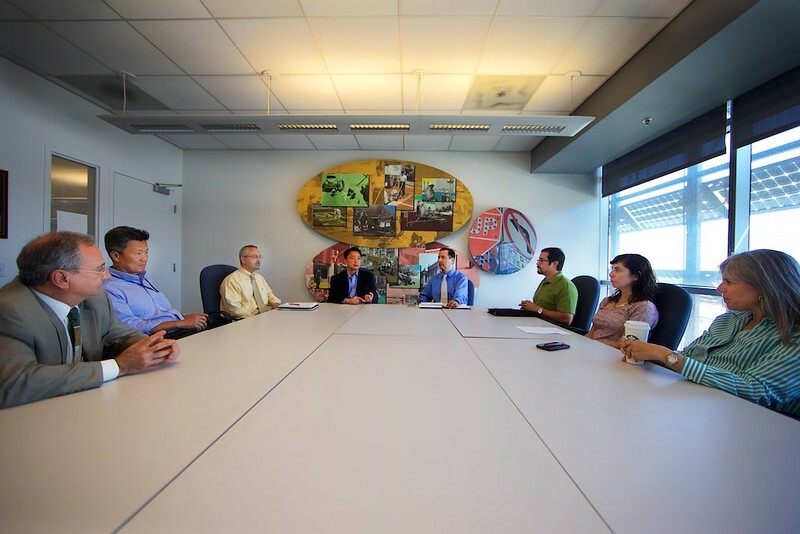 The Design Committee establishes a forum where project managers can request feedback and design guidance for their projects from diverse expertise within LADOT. To provide guidance on design concepts. To document design decisions, particularly on new or innovative designs. To lead the department on innovative design-related policy directives. Members of the Design Committee include representatives from the Department’s Automated Traffic Surveillance and Control (ATSAC), Active Transportation, Design, District Research and Support, Complete Streets, Operations, Parking, and Planning Divisions. The Design Committee combines experience and knowledge from specific fields, so that project managers can develop design guidelines used to generate Department policies and procedures. The Design Committee can also provide technical recommendations to improve specific projects in the design phase. As an evaluative board, the Design Committee provides feedback on existing designs and discusses the outcomes of recent design interventions. By harnessing the collective experience of the Department, not only will the Design Committee result in the best possible designs, but also give staff ownership and investment in those decisions, and in projects overall. Exciting news! The Bike Program is in the process of a major overhaul of our two internet domains, BicycleLA.org and LADOTBikeBlog.wordpress.com. What does this overhaul look like? We don’t have all the details yet, but one thing is certain, we’ve decided to merge our two sites: our future site will contain both the blog and BicycleLA.org. 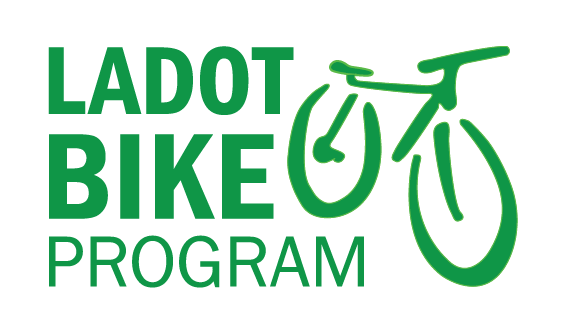 The integrated website will provide a broad overview on bicycling within the City of Los Angeles, as well as information on ongoing projects, news, events, and general suggestions for safe and comfortable bicycle riding in urban environments. We will still maintain the Bike Blog for project updates and #BikeLA editorials, but it will be embedded on our primary site. Believe it or not, BicycleLA.org has been around for 17 years (est. 1998!!! the same year Google filed for incorporation in California) and hasn’t seen a major redesign since the development of the 2010 Bicycle Plan! 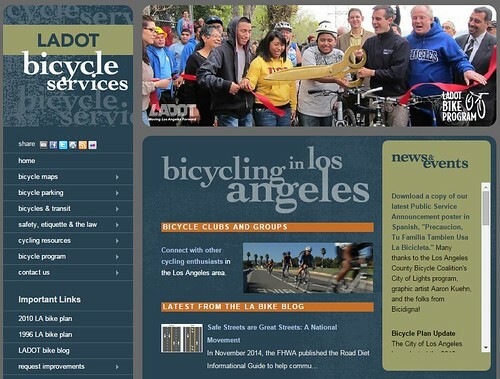 Similarly, the LADOT Bike Blog has also remained largely unchanged since its 2010 launch. Well, we think it’s safe to say that Los Angeles has come a long way in five years. Some would have said it was impossible, but we’ve seen car streets transformed into people streets! Road space throughout the City has been reclaimed for people with the help of Bicycle Corrals, People St Parklets, and Plazas. We’ve implemented road diets, making streets safer for everyone and repurposed lanes for buffered bike lanes in Northeast LA and dining on Broadway. We’ve even launched the Bicycle Friendly Business Program to encourage people to run their local errands by bicycle (in LA County, 47% of trips taken are easily bikeable at less than 3 miles). 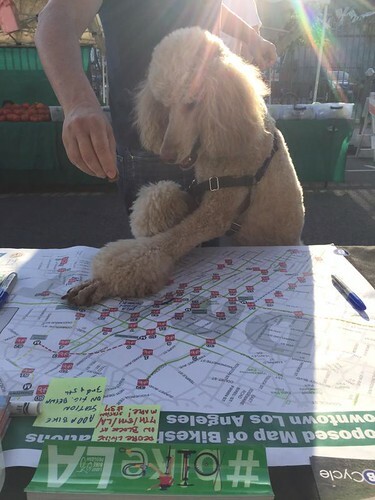 The evolution of LA streets is nigh, and our Great Streets vision can be observed in the recent adoption of the 2010 Bicycle Plan into a new plan that considers all modes for all ages and abilities: Mobility Plan 2035. Keeping with the times, it seemed like a wonderful opportunity to make change here on our internet space. To our delight, much of what has been temporary or experimental information on the LADOT Bike Blog has become permanent. 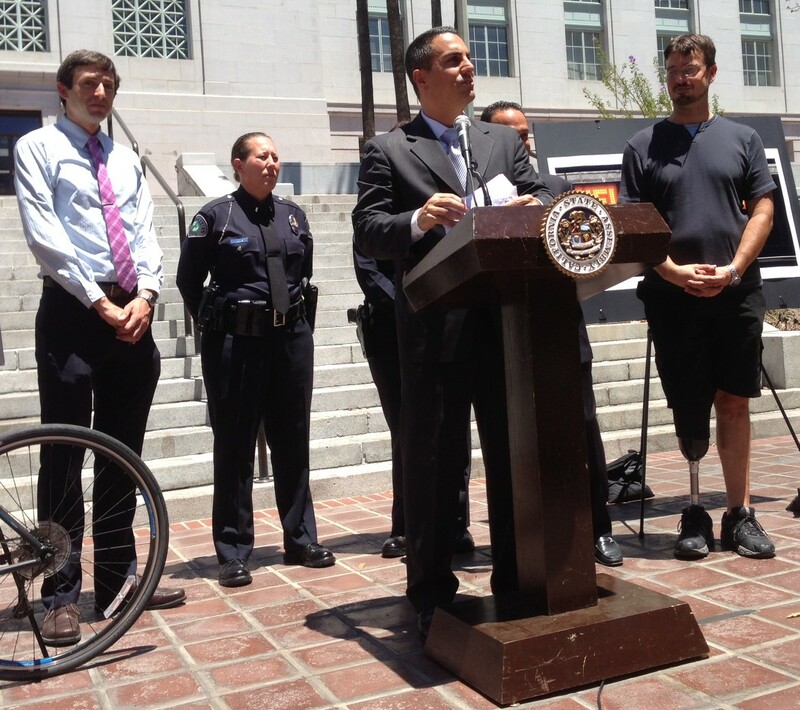 To accommodate this shift, we choose to unite our fronts, providing #BikeLA with a one-stop shop. We hope our new website will appeal to #BikeLA enthusiasts as much as it does to the bicycle-curious. We are going to spend the next few months working hard on it. During its development, we’d love continued feedback beyond our survey. 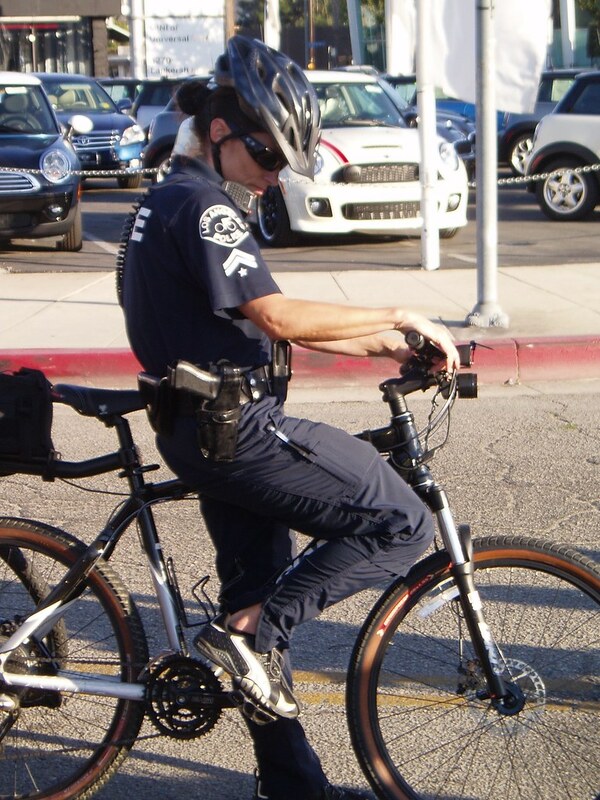 If you have additional comments about our online presence, please email bike.program@lacity.org.